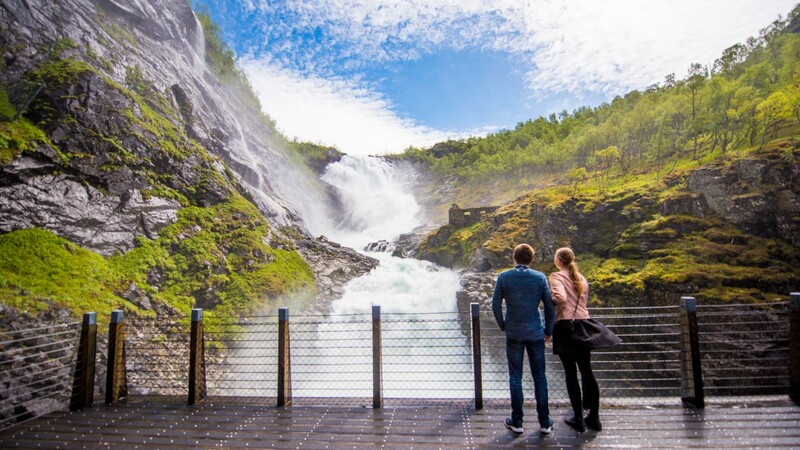 The Flåm Railway has been described as one of the most beautiful train journeys in the world and is one of the leading tourist attractions in Norway. The train runs from the end of Aurlandsfjord, a tributary of the Sognefjord, up to the high mountains at Myrdal station. The journey features the finest aspects of the stunning scenery of Western Norway. 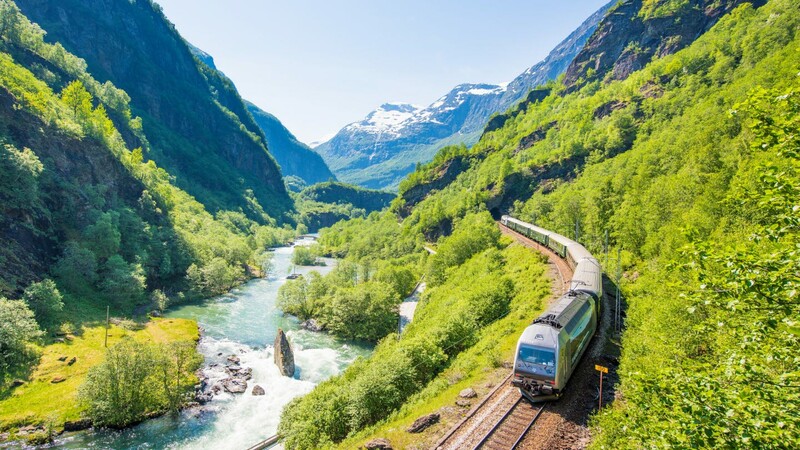 National Geographic Traveler Magazine calls the Flåm Railway one of the top 10 train journeys in Europe while in 2014 ,Lonely Planet Traveller went even further and named it the best train journey in the world.